“They mix funk grooves with Latin Rhythms and pulsating electronic, and beautiful contemporary soundscapes to deliver a superb record’. 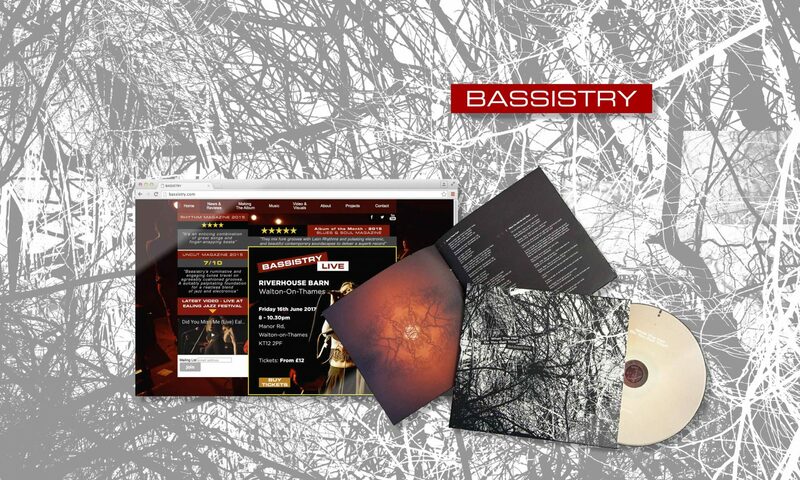 New Media Works have been working with Bassistry for over 15 years. We’ve supported the band by creating a simple identity with visually distinctive support material. We work together to create the web presence, videos, promotional material and album sleeves. We’ve also documented the ‘Making of’ their album ‘What The Hell Do You Call This?‘ It became a series of short insights into the seemingly magical process of making an album. Brand Identity, website, video, social media, print, photography.